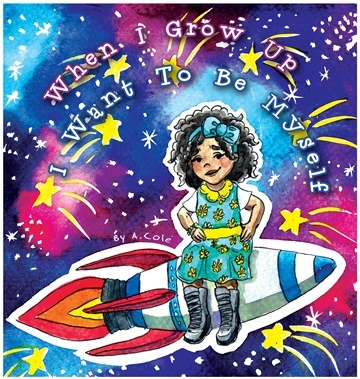 When I Grow Up is a book about individuality, fearlessness, and self acceptance. This is the story about Naya, a young African-American girl who finds herself during a challenging Career Day at school. She realizes she doesn't know what she wants to be when she grows up, unlike her classmates. Naya questions her uniqueness and wonders if she's strange or weird because she's not like the others. Naya teaches herself and her peers to love themselves and who they are before figuring out who they want to be in the future.